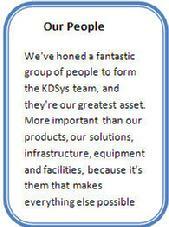 KDSys are experts in SAP solutions and Services and a leading provider of IT solutions. We are founded in 2004 by Velukumar Ramachandran in Atlanta , Georgia. KDSys is today trusted service provider and through our work over years we have built up solid experience of partnering with Business from large to small and offering top crème consultancy services. We have partnered with Companies that are Service Partners to SAP and also provide outstanding onsite , offsite development and 24/7 capabilities . We are widely recognized as offering unique capabilities to the marketplace, especially in rapid deployment solutions for SAP Enterprise Solutions, Application Management . 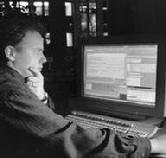 And always available to work with our clients’ IT teams to resolve any application issues. Our levels of expertise and service are second-to-none, and allow you to concentrate on your internal operations, and running your business. KDSys’s commitment to excellence and its reputation for delivering on-time, on-budget solutions has made it an industry leader – a fact evidenced in its strong growth in both revenues and customer base over the last few years. We can provide assistance with projects either on site or remotely as we have a variety of in-house specialized skills to offer. Our consultants have at least 5 years of experience in more than one SAP module and also have multiple full SAP life cycle implementations. They are available for short and long term assignments anywhere in the USA. Managing an SAP ERP system is an ever-changing process. Job roles change, business demands and processes change and enhancements are also a continuing process.